In Spiritual India, For Karmic credit ..Indulge in a different Holiday High..Shop like a Celebrity for Tibetan Refugee Welfare in Dharamsala ! When do you last remember shopping for 'compassion'?? 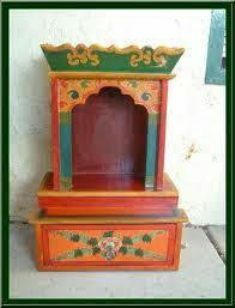 Every Tibetan home starts with an alter for prayers. You can buy souveniers which can be a part of your lifestyle back home. Shopping in Dharamsala is one of the most unique experiences..discovering the hidden by-lanes of Mcleodganj..sipping Hot Herbal 'Chai' and samosas..chatting and bargaining and getting swayed away by a sweeping sense of warm human sympathy for 'human welfare'! Truly the experience is rewarding ! Discover the shopping delights of Buddha Bazaar..! When you travel to Dalai Lama town prayers, healing, the aroma of incense in the air, chanting monks and meditating sadhus color the streets everywhere. You can carry back your personal dharma enlightenment, a permanent memory of your stay in Dharamsala..shopping for your spiritual enhancement..tibetan prayer beads, prayer wheels, healing incense sticks, singing bowls ! 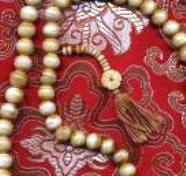 CLICK HERE..For more on Tibetan Nepali Beads in India !! When you are in the spiritual capital of the world..Dharamsala, the Buddhist teachings form an integral part of your life. Yoga and meditation is a natural personal growth process. Special environmental travel friendly meditation cushions, rug can be found here. The Tibetan duvet covers and door curtains is a ideal pick for your home. Buddhist Punk Fashion in Dharamsala, India.. 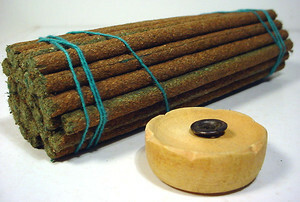 The 'Chuba' appears as early as the 8th century CE. Originating in Central Asia, it travelled east as far as Japan where it acquired long, wide sleeves and became the kimono. In Tibet, it remained suitable for riding on horseback and walking over high passes. 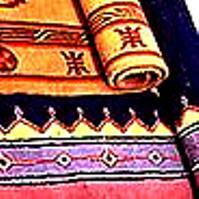 The chuba was made of the finest woven wool, rich brocade or sheepskin. 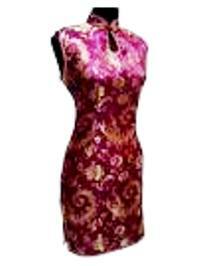 It was lined with lambskin in winter and made of light wool or brocade in summer. In India, it began to blend in length with the sari, and for a while it was fashionable for it to pick up the dust of the road. It also took on a different cut. No longer open on the side, the extra material tucked under the armpits was done away with and it became more fitting and distinctively feminine. 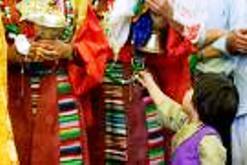 Today all my guests like to take one home to celebrate the Tibetan women spirit in their festives. This evening designer wear is accompanied by stylish hand embroided jackets and accessories like Tibetan fur hats, Tibetan handmade boots, slinging bags and purses. Himalayan Flavours & Colors of Himachal Pradesh, Dharamsala! 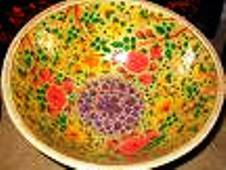 When you are on the streets of Dharamsala, make your holiday stay more exciting by visiting any of the Himachali Handicraft stores. 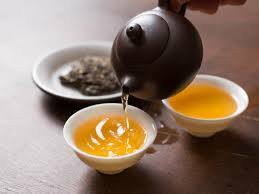 You are in for a Dharamsala pick which is distinctively 'mountain' in flavour and taste! 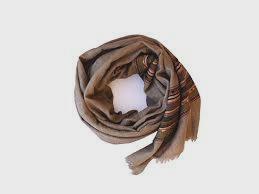 Designer Dhurries, carpets, Hand woven Shawls & Pattus, Home interiors and environment friendly green shops. Not to forget the exclusive delicate taste of Kangra Green leaf Tea...all combine to make excellent souvenier shopping for near and dear ones. Migrant traders from Kashmir have made Dharamsala, their home to sell their wares..a flavour to blend with the Himalayan traditions of the North. Dont be surprised by a warm gentle smile of a Kashmiri lad and his skill of selling you a thing or two !! On your Spiritual India Tours..Be part of an Extended Human Family in the Himalayas.. Sometimes simply understanding the most basic human needs can contribute towards a ' Most Enjoyable Holiday '!! Shopping in Dharamsala is a personal journey..a moment of regret when you overspend..a moment of elated joy seeing a smile on an wrinkled face of an old lady selling her goods and blessing you on the streets. A moment in time, where the world of business and thrift mingles perfectly with that of 'Human Welfare'. "A celebration of the Soul in Spiritual India..That we believe is hundred percent value for Money !" With the Dalai Lama Teachings and the Shoton Festival in Dharamsala..the month of March heralds..GOOD SHOPPING..with many Tourists around. The Mcleodganj traders showed their solidarity support for the Tibetan cause by joining the Peace March in Dharamsala, India. The International Prayer Day was held at Namgyal Monastery by His Holinesses The 14th Dalai Lama and 17th Karmapa of Tibet in the first week of April, 2008. Dharamsala India was busy with the Annual Spring"Clean Dharamsala" Eco-drive by the local traders. Spritual India in Dharamsala vivarted with the Spring "Ram Navmi" Festival. The Ram Arti Ceremony at Chinmaya Ashram in Dharamsala is a spirtual healing for the mind, Body and Soul for those who come in this valley in springtime every year ! **Help the Community Grow..Find Exclusive Tibetan Duvet Cover..CLICK ON THE GRAPHIC BELOW !! 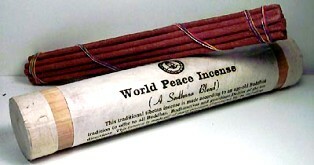 For Spiritual India Healing Tour of Body, Mind & Soul...Explore the World of Tibetan Incense in Dharamsala India,Dharamshala..CLICK ON THE GRAPHIC !! Spiritual India Tour with Dalai Lama, Dharma,India...!